When you think of macadamia nuts, chances are you think of Hawaii’s sun-kissed beaches, warm ocean breezes, and swaying palms. But you should also be thinking about silky hair full of body and shine. Yes, macadamia nut oil can transform your tired tresses into waves with wow! You haven’t tried a macadamia hair mask, what are you waiting for? We’ve put together a collection of some of the most luscious and luxurious DIY macadamia hair masks, but first let’s explore what makes macadamia such a must-have hair care product. Where do macadamia nuts come from? Though widely associated with Hawaii, macadamia nuts actually originated in Australia. In fact, macadamia is the only major commercial food crop that is native to that continent. For thousands of years the macadamia nut was part of the diet of the aboriginal people in the rainforest along the north east coast of Australia. The colonization of Australia by the British began in 1788 but it wasn’t until 1875 that the recorded history of the macadamia began, when the Australian macadamia trees attracted the attention of European botanists Walter Hill and Ferdinand Von Mueller. Macadamia also grows in South Africa, Brazil, California, Costa Rica, Israel, Kenya, Bolivia, New Zealand, Colombia, Guatemala and Malawi. What makes macadamia so healthy? Macadamias are a rich source of Vitamin A, iron, protein, thiamin, riboflavin, niacin and folates. They also contain moderate amounts of zinc, copper, calcium, phosphorus, potassium and magnesium. Macadamia contains antioxidants like polyphenols, Amino acids, flavones and selenium. It is also a good source of carbohydrates like sucrose, fructose, glucose, maltose and some starch based carbohydrates. Macadamia contains a very high amount of Palmitoleic acid (an omega 7 fatty acid). This oil is non-greasy and lightweight, which makes it absorb easily into the hair. What this means for you is that you get all the nourishing qualities of oil without build-up or residue. So how exactly does your hair benefit from the use of macadamia oil? For starters, the high absorption and deep penetration of the hair and scalp means both get the proper moisture they need to stay healthy. The highly concentrated mono-unsaturated fats in the oil help protect the hair and scalp from damage. The vitamin E contained in the macadamia oil helps hair to soften and rejuvenate. vides UV radiation protection, and leaves hair silky and smooth. 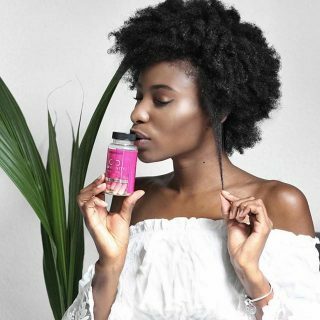 A great way to maximize the benefits of any natural treatment for your hair is to incorporate a nutritional supplement into your diet. 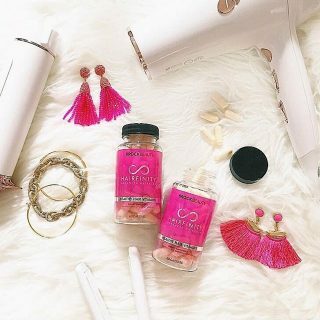 Hairfinity hair vitamins are excellent source of vitamins and amino acids. The only note of caution concerns allergies. It’s a good idea to consult with your health-care adviser or dermatologist prior to using macadamia nut oil as a topical treatment, because allergic reactions can occur. Exactly how does macadamia help hair? Macadamia oil is amazing due to its ability to closely mimic sebum, the natural oil found in the scalp that moisturizes the hair. The macadamia nut which the oil is extracted from contains palmitoleic acid, which is the main ingredient in sebum. When applied to the hair and scalp, macadamia oil helps to supply the hair with the sebum that our hair is missing from insufficient production or damage. Each strand of hair is protected by overlapping layers of cuticle to maintain moisture and prevent hair damage. However, when those cuticle layers are stressed by environmental or biological factors, they separate. The separation of cuticle layers results in brittle hair and breakage. Macadamia nut oil helps prevent hair breakage by penetrating the scalp and hair follicles to improve hair strength and elasticity. No one likes rough, frizzy hair and women with curly hair may be especially prone to frizz. Humid weather or incorrect application of beauty products can make frizz even worse. The essential fatty acids and vitamin compounds found in macadamia nut oil help to eliminate frizz by coating the hair shaft with nourishing oils. Macadamia nut oil provides an amazing amount of protection from chemical damage, heat damage as well as UV rays, which can seriously ravage hair. Along with this protection, macadamia also helps cut drying time so you spend less time drying your hair and using a heat tool. A great tip when using macadamia nut oil for hair, and you’re planning to dry your hair, is to apply the oil after you shower because the macadamia nut oil will quickly be absorbed by your hair and push the water out from under your cuticle. Doing this will allow your hair to dry faster, almost 50% reduction in drying time, which will help you minimize exposure to heat related hair damage. How can I use macadamia for healthy hair? Eating macadamia nuts is probably the easiest and most fun way to take advantage of this delicious and exotic food but if you want to target hair specifically then there are a few options for you. You can add a few drops of macadamia oil to your regular conditioner to add an extra boost of protection. For a quick fix for split ends, dab some oil on your fingers and work it through the ends of your hair as a leave-in conditioner. For a stress-soothing scalp massage, a small amount of heated macadamia is perfect . Tip: Always look for cold-pressed organic nut oil. For intense treatments and dramatic results, your best bet is a macadamia hair mask. There are some store bought products that you can use, such as Macadamia Deep Oil Repair Masque and Organix Macadamia Oil Intensive Mask, but we’ve also collected some DIY macadamia oil hair mask recipes you can try at home. Does your hair need an extra boost? This repair mask may be exactly what your hair needs. To make this mask, you’ll need a quarter cup of macadamia nut oil with a drop of tea tree or chamomile oil, plus a small amount of aloe for good measure. All of these ingredients have their own unique benefits, and when combined are even more effective at hair repair. Preventing dandruff, promoting hydration, increasing sheen and stimulating hair growth are just a few of the benefits of this mask. Tea tree oil has been used for thousands of years to treat everything from cold sores to sunburn. Its healing properties are well documented. Tea tree oil is an antiseptic, antibiotic and antifungal treatment, and it’s a natural alternative for treating scalp problems. Aloe vera gel has both emollient and moisturizing properties, which means it smoothes the cuticle surface and also seals in moisture. Aloe imparts detangling and conditioning by forming a polymer film on the surface of the hair, thereby smoothing the cuticle. Finally, aloe vera gel contains minerals such as iron, calcium, potassium, magnesium, and other micronutrients, which may be beneficial to the hair and scalp. 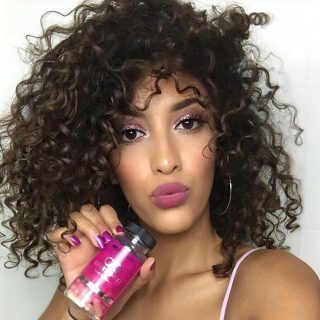 HAIRFINITY Balanced Moisture Conditioner, an aloe vera based conditioning treatment, adding macadamia nut oil to this product could have great benefits as well. Before applying the mask, shampoo your hair and carefully towel dry. Pour a small amount of the mask into the palm of your hand, and rub your hands together. Once the mask has thoroughly coated your hands, run your hands through your hair, spreading the lotion through the strands of hair. Make sure the mask has been evenly applied. Use a comb to distribute the mask. Leave the oil on your hair for approximately five to ten minutes, and then rinse your hair with warm water. Apply the mask to your hair once a week for best results. This mask combines the powers of several high potency oils, for hair that needs serious rescue. Ideally an effective hair serum, the vitamins in sweet almond oil are perfect for treating hair loss, split ends, frizzy and dull hair. 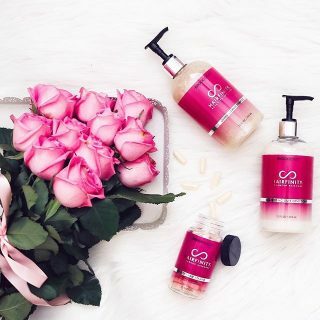 If you want to protect your hair and scalp against the wear and tear caused by pollution and styling products, sweet almond oil is an ideal choice. Hemp oil can be used to beautify your hair from within, as well as from without. The oil is rich in essential fatty acids, along with vitamins and protein. Hemp oil is good for people with all hair and skin types. Hemp oil contains omega-3 fatty acids, omega-6 fatty acids and omega-9 fatty acids. 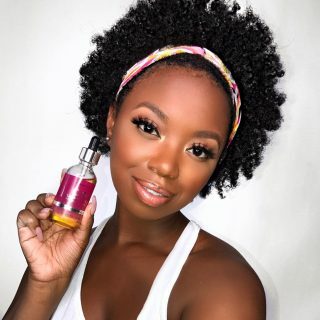 Consuming such polyunsaturated fatty acids stimulates hair and skin growth and hemp oil also has gamma linoleic acid, which is good for combating hair dryness. Dry, undernourished hair is often hard to style. It won’t hold a curl, and straightening only dries it out further, leaving it lifeless. A hot oil treatment featuring olive oil will help you gain manageability so your hair is easier to style. Dandruff, head lice and other adverse conditions can contribute to hair loss. Fortunately, olive oil fights off all of these things, helping keep your hair healthier. Combine all ingredients in a pot warm over low heat until the coconut oil is melted. Stir well. Apply generously to the scalp, roots and length of your hair. Cover head with a plastic shower cap or Saran wrap. Let sit for up to three hours. This mask is a fantastic pick-me-up to add body, shine and manageability to all hair types. Avocado is also well-known for healthy hair. Avocado is like a superhero for dry hair. Chock full of vitamins A, D, E and B6, avocado is also high in proteins, amino acids, magnesium, folic acid, copper and iron. The oils in avocados are one of the few that can penetrate the cuticle and actually moisturize hair. The monounsaturated fatty acids, phytosterols, and high levels of antioxidants like vitamin E in avocados are well absorbed into our scalp and hair shafts. This not only has a highly moisturizing and protective effect against environmental stressors and damage, it may also stimulate new growth and help unclog blocked follicles. Mash avocados in a bowl until there are no large chunks. Add macadamia oil (and essential if you choose) and mix well. Apply to clean wet hair. Use your fingers to rub mask into your scalp and over your hair. Comb hair with a wide-toothed comb to make sure there’s an even distribution. Let sit in hair for 15 to 20 minutes. 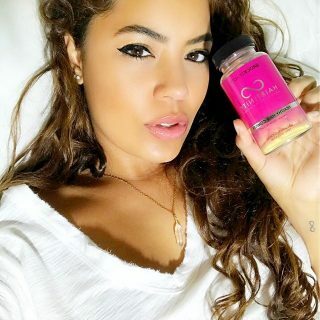 Hairfinity Hair Vitamins is transforming the hair of women all over the world with a unique blend of vitamins, nutrients, and our exclusive Capilsana™ Complex. Users of Hairfinity have reported improved manageability and overall appearance. Order Hairfinity Hair Vitamins today.